The Queen of Sheba’s Visit to Solomon by George Tinworth. Terracotta, 8 ½” high x 8 ¾” wide x ¾” deep. Private collection. 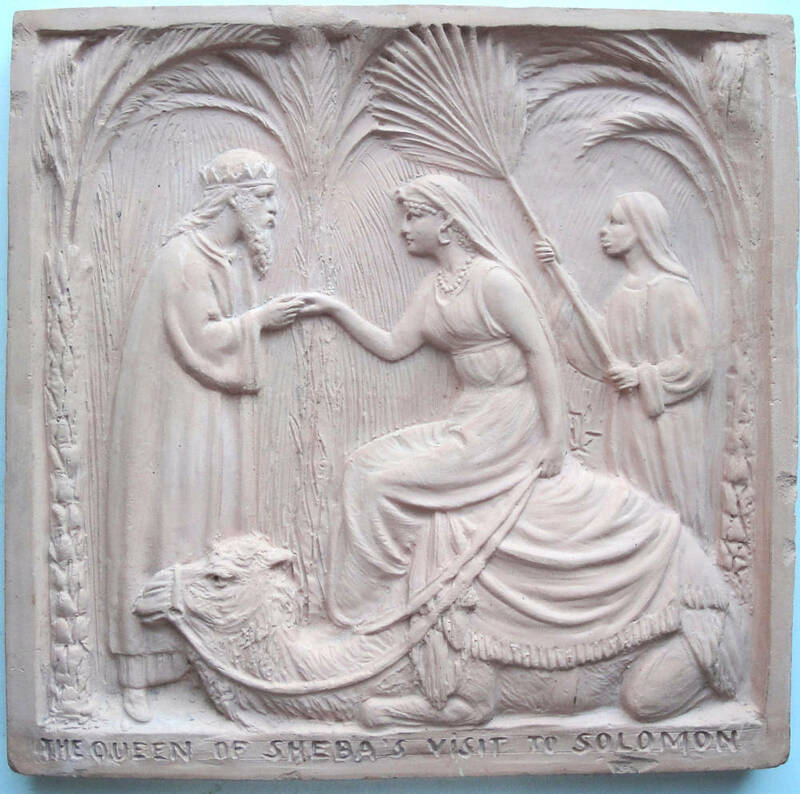 Inscribed: “THE QUEEN OF SHEBA’S VISIT TO SOLOMON DOULTON LAMBETH ENGLAND 1899”.